Cotton fabrics show the tendency to wrinkle. Various chemical agents have been used to convey crease-resistance to cellulosic material in an attempt to replace the formaldehyde-releasing crosslinking agent DMDHEU. A novel non-formaldehyde organic–inorganic hybrid material synthesized via the sol–gel route is investigated. The hydrolyzed trialkoxysilane (3-triethoxysilylpropyl)succinic anhydride was reacted with 2,4,6-triamine-1,3,5-triazine (melamine, MEL) at elevated temperature. The as-prepared aqueous solutions were applied to cotton fabrics, which were cured at 160 °C and 220 °C. The physicomechanical data: dry crease recovery angle (DCRA), flexural rigidity, whiteness index (WI), water retention, water vapor permeability were evaluated. An increase in the DCRA can be observed. However, the thermal treatment results in a reduction of the WI. Fourier transform infrared spectroscopy spectra confirm the formation of an imide group. X-ray powder diffraction analysis makes evident that the crystallinity index increased. SEM images make evident that depositions can be observed on the surface. 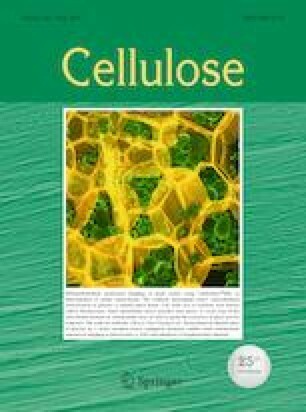 Cellulose-based material has been widely applied in many areas, since cellulose is regarded to be the most abundant biomass material and it also possesses various interesting properties, such as good mechanical strength and excellent hydrophilicity (Hearle 2002; Moon et al. 2011). The anhydroglucose unit of cellulose has three hydroxyl groups. Therefore, chemical modifications with practical relevance can be exclusively performed on these hydroxyls (Pinho and Soares 2018; Roy et al. 2009). 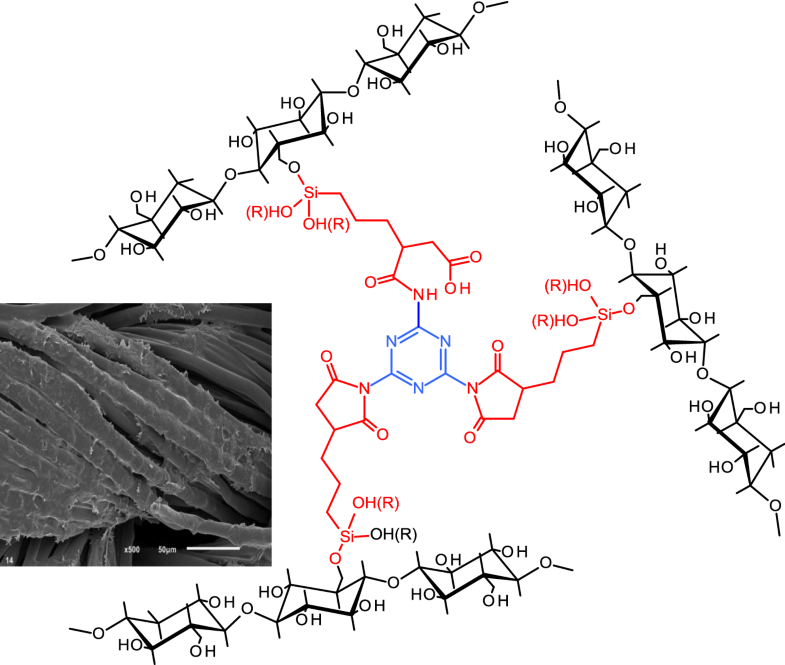 Various attempts have been undertaken to chemically or physically modify the cellulose-based textiles to impart novel properties to the material (Bajaj 2002; Harifi and Montazer 2012; Mahbubul Bashar and Khan 2013; Paul 2015), such as improved antimicrobial activities (Arık et al. 2017; Brzezinski et al. 2007; Montazer and Afjeh 2007), enhanced flame-retardant properties (Alongi et al. 2011; Katovic et al. 2012; Lam et al. 2011b), improved hydrophobicity (Pipatchanchai and Srikulkit 2007; Zhang and Wang 2013), or better ultraviolet protection (Gambichler et al. 2001; Wang et al. 2011; Zheng et al. 2011). The application of cotton is limited because of its tendency to produce creases. This fact can be attributed to the phenomenon that cellulose chains within the cotton fibers are held in place by intermolecular hydrogen bonds which are formed between the hydroxyl groups of adjacent molecules. Under the influence of deformation or moisture the hydrogen bonds are broken and reformed at a new location. 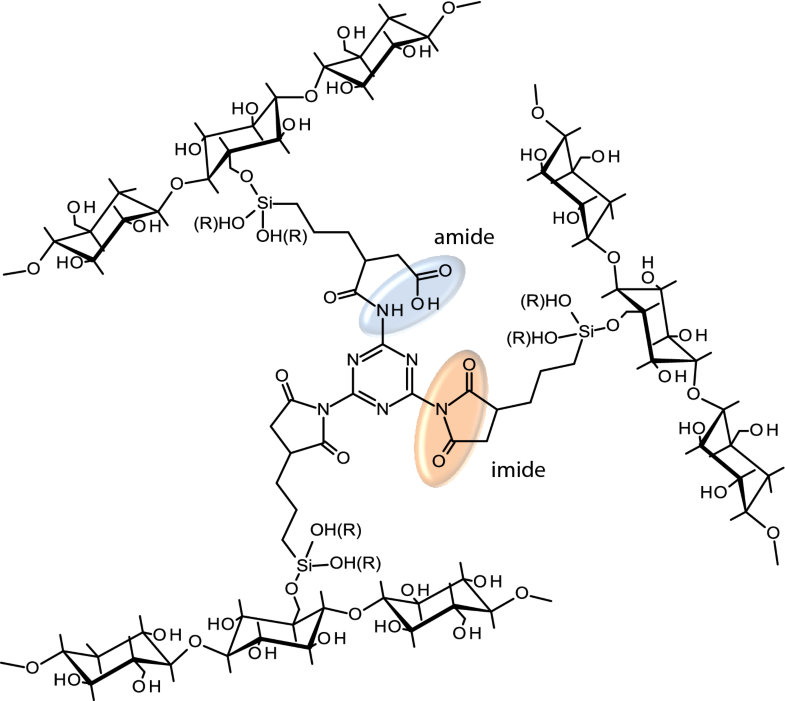 To minimize this phenomenon crosslinking between the cellulose chains are formed applying various chemical agents. Amongst these, the N-methylol compound DMDHEU (dimethyloldihydroxyethyleneurea) is the most effective and low cost crosslinking agent (Lam et al. 2011a; Trask-Morell et al. 1996; Yamamoto 1982). However, DMDHEU tends to release the potential human carcinogen formaldehyde (Hewson 1994; Kottes Andrews and Trask-Morell 1996). Consequently, various di- or polyfunctional crosslinking agents that do not emit formaldehyde were tested as a potential substitute for DMDHEU. Dialdehydes (Choi et al. 1999; Frick and Harper 1984; Vail and Arney 1971), isocyanates (Hobart and Mack 1969; Tomasino et al. 1982; Yeqiu et al. 2005), epoxides (Muresan et al. 2013; Reinhardt et al. 1961; Steele 1961), divinylsulphones (Rowland and Brannan 1970; Tesoro et al. 1961), and polycarboxylic acids (Schramm and Rinderer 2006; Welch 1994; Welch and Andrews 1989; Yang and Wang 1998) were thoroughly investigated. The sol–gel technology is an excellent technique for chemical modification and functionalization of different surfaces. Therefore, it is a possible alternative approach to impart non-formaldehyde crease-resistant properties to cellulose-based textiles. The sol–gel process is based on the hydrolysis and the condensation reaction of metal alkoxides, such as tetraalkoxysilanes Si(OR)4, or organotrialkoxysilanes R1Si(OR2)3. As a consequence, three dimensional siloxane networks are formed with sizes in the nanometre range, which can be applied to the cellulosic material (Brinker and Scherer 1990; Hench and West 1990; Wright and Sommerdijk 2001). Thus, novel properties were conveyed to cellulosic material using the sol–gel process (Mahltig and Textor 2008). Various investigations deal with the application of the sol–gel technique to impart wrinkle-free properties to cellulosic materials. The application of polycarboxylic acids in combination with tetraethoxysilane and (3-glycidyl)trimethoxysilane resulted in excellent durable press performance (Huang et al. 2007; Schramm et al. 2004, 2005; Zheng et al. 2011). Enhanced wrinkle resistance could also be obtained by thermal treatment of a cotton fabric having been impregnated with a solution containing GPTMS and aluminium isopropoxide (Schramm and Rinderer 2015, 2017). The sol–gel process was also applied to hemp fabrics to improve the crease-resistant properties (Arık et al. 2018). When cotton specimens were impregnated with a solution containing hydrolysed (3-amino)propyltriethoxysilane and 1,2,3,4-butanetetracarboxylic acid and cured at elevated temperatures a polyimide was formed that improved the crease resistance of the cotton fabric (Schramm et al. 2014). The objective of the present study was to investigate the reaction of hydrolyzed TESP-SA containing two carboxylic groups with melamine possessing three amino groups. The reaction of the carboxylic groups with the amino groups results in the formation of a poly(amic) acid which is applied to the cotton specimens. The thermal treatment at 220 °C results in the formation of a polyimide unit being component of an organic–inorganic composite covering the surface of the cotton sample. Since this novel finishing system never has been applied to a textile material it was of high interest to evaluate the mechanical and morphological properties of the finished cotton specimen. Desized, scoured, bleached and mercerized 100% cotton fabric, weighing 109 g/m2, was used throughout the investigation. (3-Triethoxysilylpropyl)succinic anhydride (100%, TESP-SA, Fig. 1) was obtained from Wacker Silicone, Burghausen, Germany. 2,4,6-Triamine-1,3,5-triazine (> 99%, melamine, MEL) (Fig. 1), hydrogen peroxide (35%), sodium silicate (10.6% Na2O, 26.5% SiO2) were purchased from Sigma Aldrich, Vienna, Austria. Deionized water was used throughout the investigation. The chemicals were used without further purification. The standard procedure for the synthesis of a TESP-SA/MEL solution (molar ratio 1/1) in an aqueous medium was as follows: TESP-SA (8.37 mL, 30 mmol) was hydrolysed with HCl (c = 0.05 mol/L, 2.70 mL) in deionized water (30 mL) under magnetic stirring (500 rpm) in a polyethylene beaker (100 mL) for 2 h at room temperature (RT). 3.78 g Melamine (30 mmol) were placed in a 500 mL three necked round bottom flask equipped with a reflux condenser, a dropping funnel and a magnetic stirrer. 80 mL of deionized water were added and the reaction mixture was heated until reflux. The hydrolyzed TESP-SA solution was transferred into the dropping funnel and added dropwise within 20 min under stirring. Subsequently, the reaction mixture was refluxed for 30 min. All solutions were adjusted to 150 mL final volume by adding water. In all cases clear solutions were obtained. The pre-weighed cotton fabrics were impregnated with the corresponding TESP-SA/MEL solution by immersing the cellulosic material into the finishing bath for 10 min. The specimen was removed and treated with a two-roll laboratory padder (HVL 500 Mathis AG, Niederhasli, Switzerland; air pressure 1 bar, rotary speed 3 m/min). After drying (5 min, 105 °C) the as-treated fabric was cured in a lab dryer (LTE, W. Mathis AG, Switzerland) at a specified temperature (160 °C and 220 °C) for 15 min. A different solutions consisting of hydrogen peroxide were used to bleach the treated cotton fabrics. The bleaching bath 1 contained 4 g/L H2O2, 5 g/L sodium silicate and 2 g/L sodium hydroxide (38°Bè), whereas bleaching bath 2 contained twice the amount of hydrogen peroxide. The liquor ratio was 1:40. Sodium silicate was applied as a stabilizer for H2O2, and sodium hydroxide controlled the pH of the solution (pH = 10.0). The fabrics were heated for 1 h at 80 °C, rinsed with water and dried at 105 °C for 5 min. The add-on values of the cotton samples were calculated as follow: add-on (%) = [(W2 − W1)/W1] × 100; W1 and W2 are the weights of the fabric specimens before and after treatment, respectively. Dry crease recovery angle (DCRA) was measured according to ISO 2312: 10 test specimens were creased and compressed under controlled conditions of time and load. After removal of the creasing load the angle formed between the two limbs was measured. The DCRA values render possible the evaluation of a crosslinking reaction between a durable press finishing agent and the cellulosic material. The stiffness of the fabrics was determined by means of a Taber Stiffness Tester, Model 112, New York, USA according to ASTM D 1388-R6. The flexural rigidity was calculated as described in ASTM D 1388-R6. The measurement of the air permeability was conducted according to DIN EN ISO 9237 using the air permeability tester Textest FX 3030 LDM, Textest Ltd., Zurich, Switzerland. The air flux (L/dm2/min) that passes through the fabric was evaluated at a pressure difference of 100 Pa.
Colorimetric data measurements were conducted with the Spectrophotometer CM-3610d from Konica Minolta, Japan. The color data software CM-S100w Spectra Magic NX V1.9 was used for data acquisition. The whiteness index (WI) was calculated according to CIE.
Water retention value (WRV) was measured on dried samples which were allowed to swell in DI at room temperature for 2 h. Subsequently, the samples were centrifuged for 20 min at 3000 rpm. After the centrifugation process the samples were weighed (W2) and dried for 4 h at 105 °C and reweighed (W1). The WRV was calculated according following equation: WRV (%) = [(W2 − W1)/W1] × 100. The water vapor permeability (WVP) was studied gravimetrically by placing disks covered with the cellulosic specimens in a desiccator (air humidity 100%, 23 °C) for 96 h. The WVP rate was measured gravimetrically using the water method, following ASTM E96. A plastic cup (4 cm diameter, 2.5 cm height, 25 mL) was partially filled with DI (11 mL). A hole (1.5 cm diameter) in the lid of the cup was sealed with the circular test specimen. This cup assembly was placed in a desiccator filled with silica gel. An initial weight was taken of the assembly and was reweighed after 96 h.
SEM micrographs were recorded with an electron micro probe analyzer—JEOL JSM-6010LV. An acceleration voltage of 15 kV was used. The fibers were sputter-coated with a layer of gold. FT-IR/ATR spectra were recorded with a Bruker Vector 22 spectrometer using a DTGS detector. The spectra were the result of 50 scans. The spectral resolution was 4 cm−1. A PIKE MIRacle TM ATR accessory equipped with a diamond ATR crystal was used. A Bruker-AXS D8 was used for X-ray powder diffraction (parallel beam optics, Cu-target, E-dispersive counter, sampler changer with rotation). The samples were run with 40 kV, 40 mA, 2°–60° θ/2θ, 0.01° step size and 5 s counting time. The crystallinity index (CrI) was calculated from the diffracted intensity data according to method of Segal et al. (French and Santiago Cintrón 2013; Ju et al. 2015). The calculation followed equation CrI = (I200 − Iam)/I200 × 100, where, I200: is the maximum intensity of the diffraction from (200) plane at 2θ = 22.8° and Iam: is the intensity of the amorphous back-ground scatter measured at 2θ = 18.0°. The stable triazine ring of melamine contains three reactive amino groups in 2, 4 and 6 position. Therefore, melamine is capable of undergoing various reactions (Bann and Miller 1958). The most important reaction is the methylolation of the amino groups by means of formaldehyde resulting in the formation of a melamine resin, a durable thermosetting plastic (Fink 2005). The amine group of melamine also can be acylated at elevated temperatures by means of anhydrides or amides (Bann and Miller 1958). Thus melamine was reacted with hydrolyzed TESP-SA at various molar TESP-SA/MEL ratios (3/1, 2/1, 1/1). Subsequently, the cellulosic material was impregnated with the reaction mixtures and subjected to a thermal treatment at 160 °C and 220 °C. The physicomechanical data of the as-prepared cotton samples were evaluated. Various investigations have shown that the reaction of an amino functionality with vicinal carboxylic groups at elevated temperatures results in the formation of a cyclic imide group, which can be very well detected applying FT-IR spectroscopy (Ahmad et al. 2009; Clemson et al. 1997; Schramm and Rinderer 2015; Schramm et al. 2014). The cotton samples are denoted as follow: RM: raw material; The first number indicates the molar ratio of TESP-SA/MEL (1 = 1/1, 2 = 2/1, 3 = 3/1), the second number refers to the amount of the impregnation steps, whereas the third number indicates the curing temperature (160 °C, 220 °C). The cotton samples were impregnated once, twice or three times with the various treating solutions. Then the samples were dried and cured at elevated temperatures. The value of the add-on, which indicates the amount of the chemical agent being applied to the cotton sample, are listed in Table 1. A most significant increase can be observed when the molar ratio of TESP-SA/MEL is 2/1 and 3/1. The data make evident that the second impregnation step gives rise to an increase in the add-on values. The cotton samples which were treated at 220 °C exhibit a moderate increase in the add-on values compared to the samples having been cured at 160 °C. N-methylol compounds are the most commonly used cross-linking agents, which are very effective in conveying crease-resistant properties to cellulose-based material. Examples of these compounds include dimethylol urea (DMU), dimethylol ethylene urea (DMEU), trimethylol triazine (TMT), dimethylol methyl carbamate (DMMC), uron, triazone and the most effective dimethylol dihydroxy ethylene urea (DMDHEU). However, they suffer from various disadvantages, such as the tendency to release the irritant formaldehyde (Hewson 1994). Therefore, intensive efforts have been undertaken to replace DMDHEU. Table 1 shows the DCRA values of the TESP-SA/MEL-treated cotton samples. Compared to the untreated fabric an improvement of the DCRA values can be observed. However, they do not reach the level of the commercial available durable press values. The bending properties of woven fabrics are of high interest for industrial, household and apparel applications (Chattopadhyay 2008; Ghosh et al. 1990). Therefore, the flexural rigidity values of the TESP-SA/MEL-treated cotton samples were measured. They are shown in Table 1 and make evident that an increase in the molar ratio of TESP-SA/MEL results in an enhancement of the flexural rigidity. The same tendency can be observed with respect to the number of impregnation steps. The highest value of flexural rigidity is obtained for 3-2-220. The air permeability of a fabric is an indication of how well it enables the passage of air through it. The passage of air through a woven fabric is of importance for a number of fabric end uses such as industrial filters, tents, parachutes, raincoat materials, shirtings, and airbags (Morrissey and Rossi 2014; Ogulata 2006; Xiao et al. 2012). The data of the measurement of the air permeability are shown in Table 1. The results make evident that no significant change can be observed, when the molar ratio was changed. A second impregnation step leads to a reduction of the air permeability indicating that the interstices in the cotton fabrics were reduced. When chemically modified cellulosic material is subjected to a thermal treatment various degradation processes of the cellulose and chemical agent may occur resulting in a reduction of the whiteness index. The WI values are presented in Table 1 and reveal that the curing process at 220 °C results in a significant reduction of the WI. This discoloration can mainly be ascribed to the reactions of carbonyl groups of the cellulosic material with the amino groups of melamine forming Schiff bases (De la Orden et al. 2004; De la Orden and Urreaga 2006). Due to the presence of hydroxyl groups in cellulosic materials, cotton is capable of taking up water. One portion of the water is bound to the surface and the other part remains between the fibers because of capillary actions. Therefore, the chemical modification of the cotton surface exerts an influence on the water retention value. The WRV are shown in Table 1 and make evident that an increase of the portion of melamine results in a moderate decrease of the water retention ability. The values of the water vapor permeability (WVP) which is governed by several structural and physicomechanical properties of the fabric are shown in Table 2 (Huang 2016). The data make evident that a significant increase of the WVP can be observed for those samples having been treated with finishing baths containing TESP-SA and MEL in the molar ratio 1:3. 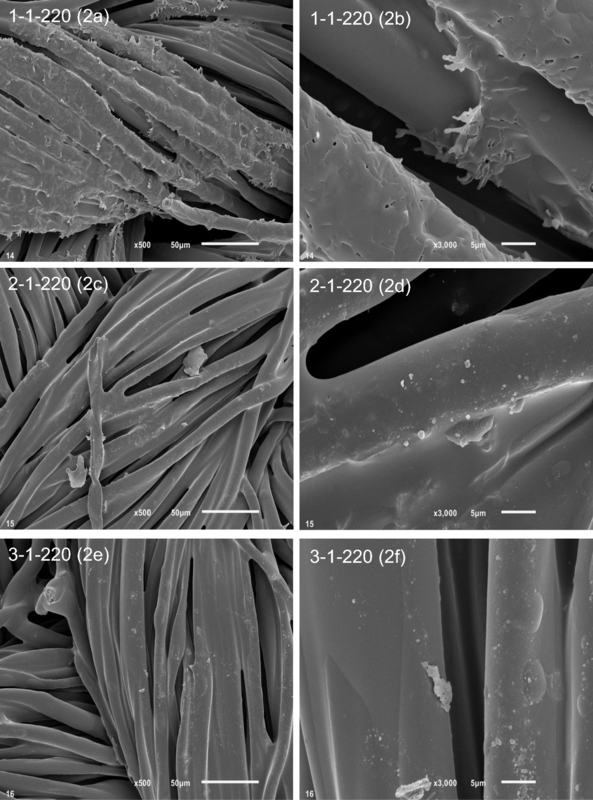 The SEM images of the cotton samples which have been impregnated once with TESP-SA/MEL solutions containing the components at different molar ratio (1/1, 1/2 and 1/3) are shown at two magnifications (500×, 3000×) in Fig. 2a–f (2a, b: 1-1-220, 2c, d: 2-1-220, 2d, f: 3-1-220). The SEM observations confirm that an obvious change in the surface morphology of the cotton fabrics can be seen after sol–gel coating. The typical longitudinal fibril structure of the native cotton disappears in all treated samples and the surface of fiber appears as a rough coating. FT-IR/ATR is an excellent tool to identify the functional group being present on the surface of cotton materials (Warren et al. 2016; Xue et al. 2016). Therefore, the spectra of the cotton samples which had been impregnated twice and which were treated at 160 °C and 220 °C have been recorded and are shown in Fig. 3. Figure 3a shows the spectrum of the untreated raw material. Figure 3b–d show the spectra of 1-2-160, 2-2-160 and 3-2-160. A peak can be observed at 1714 cm−1 which can be attributed to the stretching vibration of the carboxyl carbonyl bond present in TESP-SA. The amide I band (1631 cm−1) and the amide II band (1533 cm−1) prove the formation of a an amide functionality. The amide I band overlaps with the O–H bending mode of adsorbed water. The absorptions appearing in the spectral region of 1200 cm−1 to 800 cm−1 are assigned to the asymmetric vibration modes of the siloxane group and the asymmetric bridge C–O–C bonds of the cellulose. 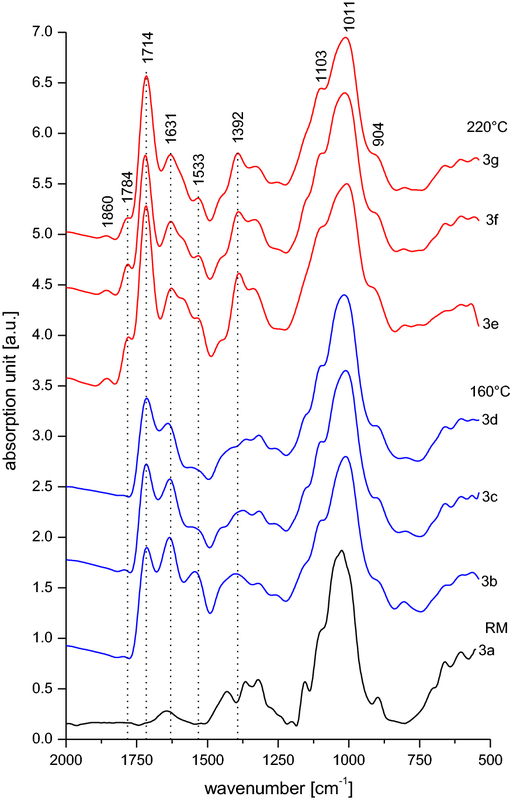 An inspection of the spectra of the cotton samples having been treated at 220 °C (Fig. 3e: 1-2-220, Fig. 3f: 2-2-220, Fig. 3g: 3-2-220) clearly make evident that an additional peak can be observed at 1784 cm−1. This absorption band indicates the formation of an imide group (imide I: asymmetric stretching mode of the carbonyl group). The corresponding symmetric vibrational mode can be seen at 1714 cm−1. The band at 1392 cm−1 is ascribed to the symmetric stretching vibration of the C–N group (imide II) (Schramm et al. 2014). Cellulose comprises 1-4 linked β-d-glucose units and is known to exist in at least four polymorphic forms: cellulose I (native cellulose), cellulose II (regenerated cellulose and mercerized cellulose), cellulose III1, III11 (liquid ammonia treated cellulose), cellulose IV1, IV11 (thermally treated cellulose III) (O’Sullivan 1997). It is well known that cellulose is composed of crystalline regions (ordered) and amorphous regions (less ordered). Various methods have been used to evaluate the crystallinity of cellulose, such as FT-IR spectroscopy (Åkerholm et al. 2004; Warren et al. 2016) or X-ray powder diffraction (XRPD) (Ling et al. 2019; Park et al. 2010). In the present study XRPD was used to determine the CrI. The XRPD pattern of the treated cotton fabrics are shown in Fig. 4a–g. 4a: RM, 4b: 1-2-160, 4c: 1-2-160, 4d: 2-2-160, 4e: 2-2-220, 4f: 3-2-160, 4 g: 3-2-220). The XRD patterns with major peaks at 14.8, 16.4, 22.8 and 34.2, respectively which are assigned to the (1−10), (110), (200) and (004) diffraction planes indicate that cellulose I is present (Kim et al. 2018; Ling et al. 2019). The values of the CrI are shown in Table 1. The results reflect that the thermal treatment at 220 °C causes a reduction of the CrI values. TESP-SA is hydrolyzed under acidic conditions. Consequently, the ethoxy groups which are attached to the silicon atom are converted into silanol groups and the anhydride moiety reacts to two carboxylic groups as shown in Fig. 5a. A nanosol solution is formed, which is added to a solution of melamine at elevated temperature. The carboxyl groups of the hydrolyzed TESP-SA react with the amino groups of melamine resulting in the formation of an amide functionality. This reaction mixture is applied to the cellulosic material. The thermal treatment at 220 °C results in the formation of the imide moiety (Fig. 5b). The findings of the physicomechanical measurements make evident that an improvement of the DCRA values can be observed indicating that a crosslinking reaction was achieved. A tentative crosslinking scheme of the organic–inorganic hybrid with cellulose chains is shown in Fig. 6. As shown above, the curing process of TESP-SA/MEL-treated cotton samples at 220 °C results in a significant decrease in the WI value. Therefore, the cotton samples 3-2-160 and 3-2-220 were subjected to a bleaching process to improve the whiteness index. Two bleaching recipes were applied. The findings which are presented in Table 2 make evident that the bleaching process gives rise to an increase in the WI. In the case of 3-2-160 the application of the bleaching bath containing 8% hydrogen peroxide causes a further improvement of the WI almost reaching the level of the raw material. The treatments of 3-2-220 with the bleaching baths give rise to an increase in the WI values. However, the level of the WI of the RM cannot be reached. Due to the alkaline conditions the values of the DCRA are significantly decreased. 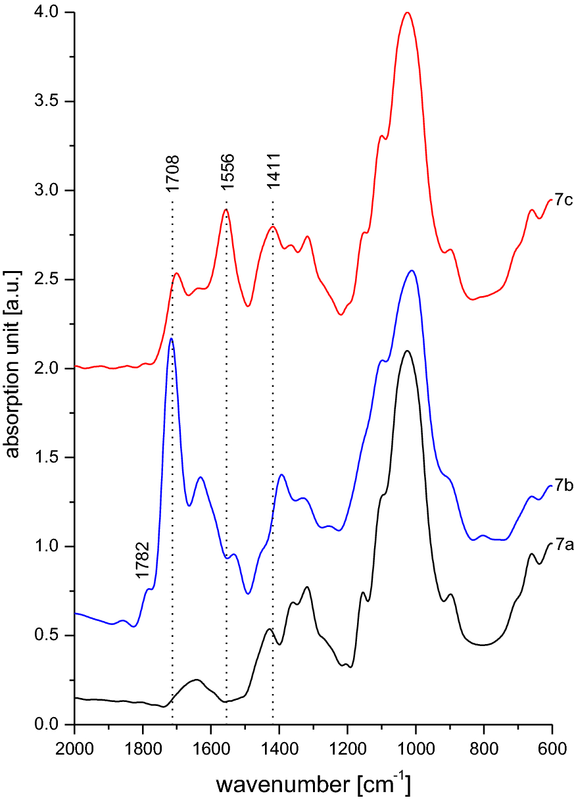 Figure 7a–c show the FT-IR spectra of the raw material (7a), 3-2-220 (7b) and 3-2-220 having been treated with bleaching bath 2 (7c). The spectrum of 3-2-220 (Fig. 7b) shows the imide I bands (1782 c372 m−1 and 1708 cm−1) whose intensities are significantly reduced after the bleaching treatment (Fig. 7c). Figure 7c confirms that two new bands appear at 1556 cm−1 and at 1411 cm−1 which are ascribed to the asymmetric carbonyl stretching mode and the symmetric stretching mode of the carboxylate ion (COO−) having been formed during the alkaline bleaching process (Chung et al. 2004; Oomens and Steill 2008). Cotton fabrics have been treated with an organic–inorganic hybrid based on the organotrialkoxysilane TESP-SA and with melamine in an attempt to convey crease-resistant properties to the cellulosic material. 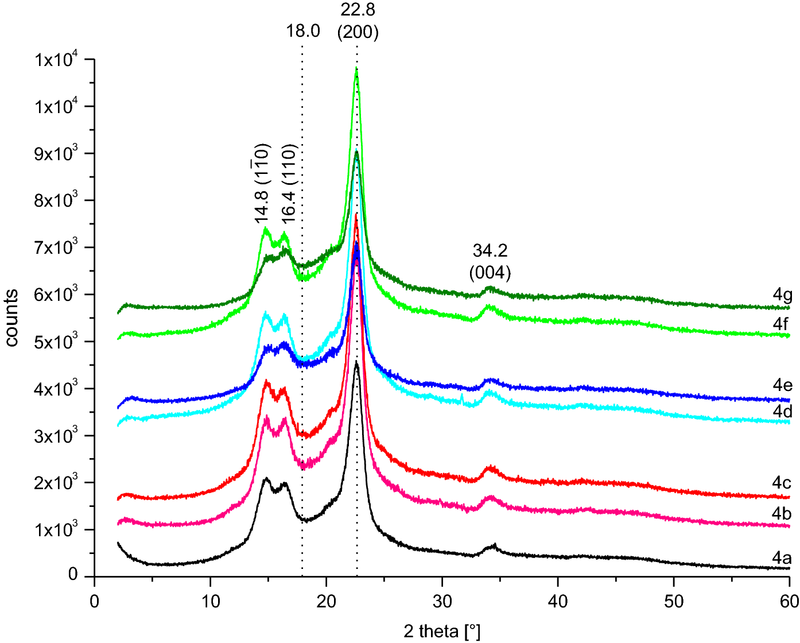 The hydrolyzed organotrialkoxysilane (3-triethoxysilylpropyl)succinic anhydride (TESP-SA) was reacted with 2,4,6-triamine-1,3,5-triazine (melamine) in an aqueous media at 160 °C and 220 °C. Three molar ratio TESP-SA/MEL were applied (1/1, 2/1, 3/1). The cotton fabrics were impregnated with the as-prepared solutions and thermally treated. An enhancement of the DCRA value could be observed. The thermal treatment at 220 °C gave rise to the formation of a polyimide group which was confirmed by means of FT-IR, however, the whiteness index was significantly reduced. Open access funding provided by University of Innsbruck and Medical University of Innsbruck. The authors gratefully acknowledge the FFG (Österreichische Forschungsförderungs-gesellschaft) for financial support of the Project 846932 (Endowed Professorship in Advanced Manufacturing). The authors would like to thank the Testing Institute of the HTL Dornbirn (Austria) for making available textile-physical devices.